Staying in hostels can be a great way to stretch your travel budget, since you get a much less expensive place to stay in exchange for giving up fancy amenities you might not really want. The downside, though, is that in order to keep their costs down, many hostels end up with drab, dull interiors. But things are a little different at downtown Tokyo’s Hokutosei. 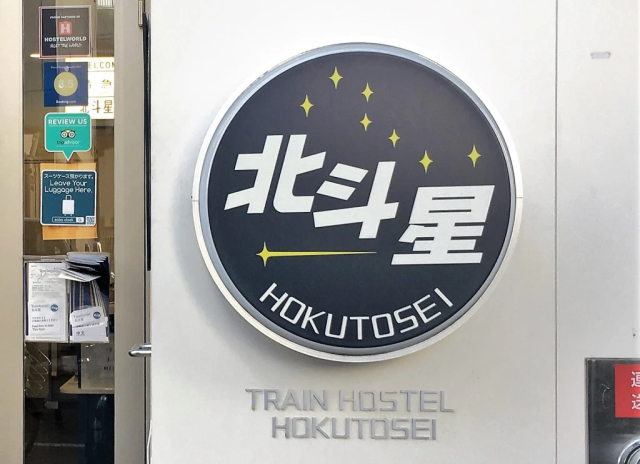 Hokutosei is the Japanese term for the Big Dipper constellation, which might seem like an unusually poetic name for a humble hostel. But before it was a hotel, the Hokutosei was a sleeper train that ran from Tokyo all the way up to Sapporo, the largest city on Japan’s northern island of Hokkaido. The Hokutosei train ran from 1988 to 2015, but after being decommissioned its owners didn’t send everything to the scrap heap. 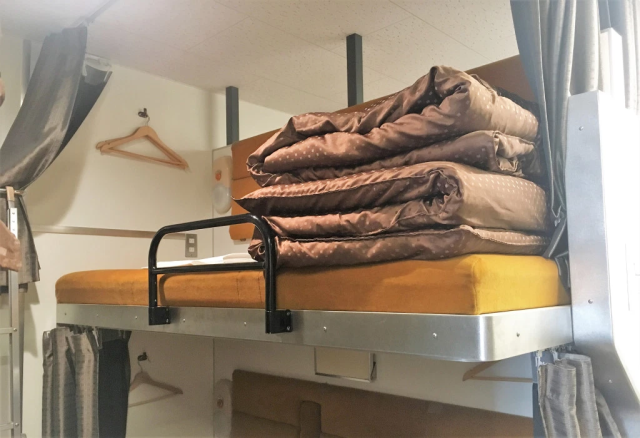 Instead, the sleeping compartments were taken out of the carriages and reinstalled in their current home at the Hokutosei hostel. 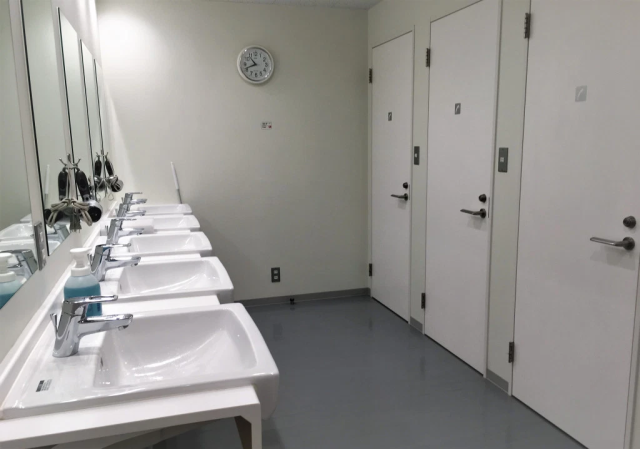 In addition to four-person dormitory-style rooms (some mixed-gender, some female-only), Hokutosei also offers semi-private single-person compartments. When you’re ready to get some shut eye, you can lie down on the authentic sleeper train bunk, close our personal curtain, and rest up for the next day of sightseeing on your itinerary. Speaking of sightseeing, while Hokutosei is no longer mobile, it’s in a great location. 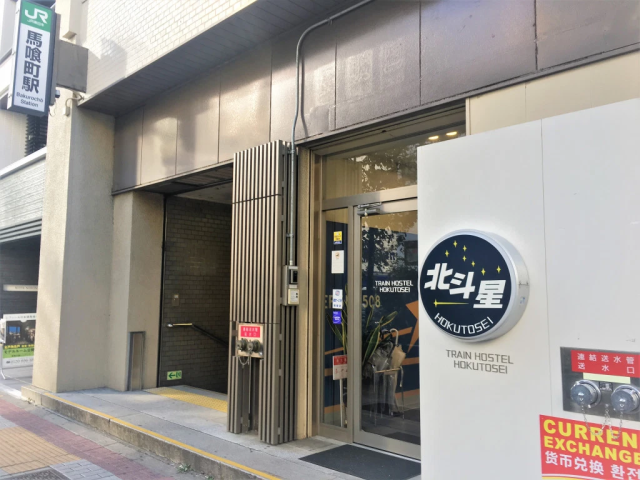 Attached to the JR Bakurocho train station (naturally), the hostel is a great staging point from which to explore techno-trendy Akihabara, historical Asakusa, and cultural Ueno, from where the Hokutosei train used to depart. The sleeping compartments aren’t the only pieces of the Hokutosei train that are still in use, either. 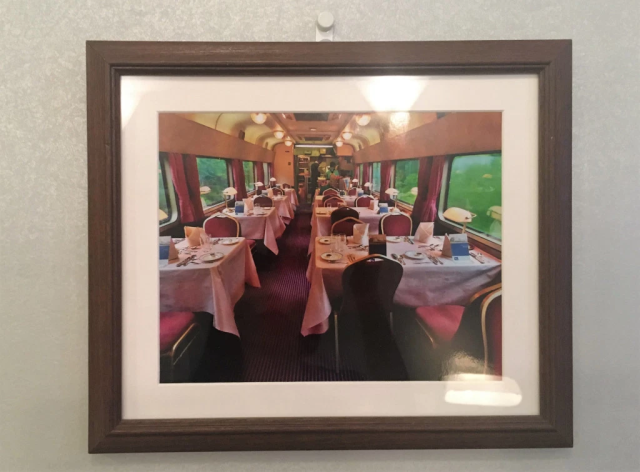 The second floor of the hostel has a common-use lounge with furniture and fixtures from the train’s dining car. 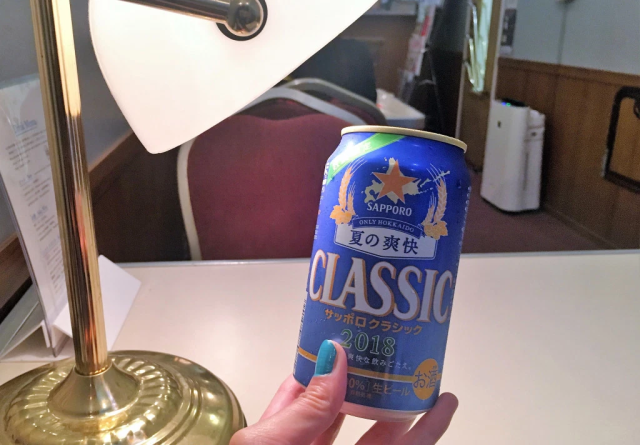 Since the train used to carry passengers to Sapporo, the lounge’s drink menu includes Sapporo Beer, and even a special version of the brew that’s normally only sold in Hokkaido. 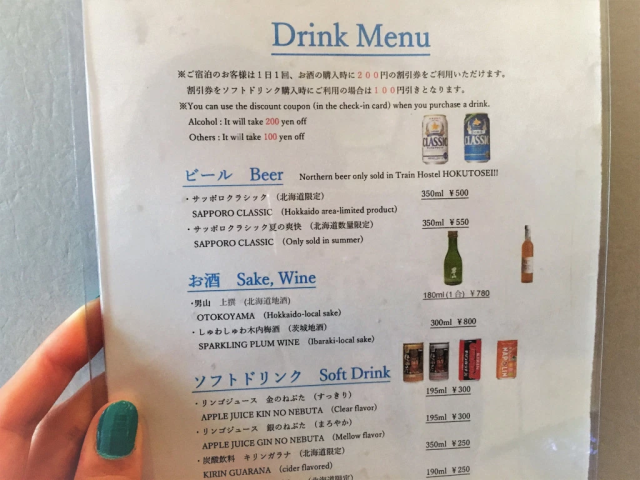 You’ll also notice that the menu has English translations. The hostel is welcoming and accommodating of foreign guests, and during our stay the other guests were an eclectic mix of domestic and international travelers, both young and old, male and female. Oh, and don’t worry. The hostel’s commitment to its source material doesn’t extend to its bathroom facilities. Those are modern and numerous, and the shower and self-laundry areas are also clean and convenient. 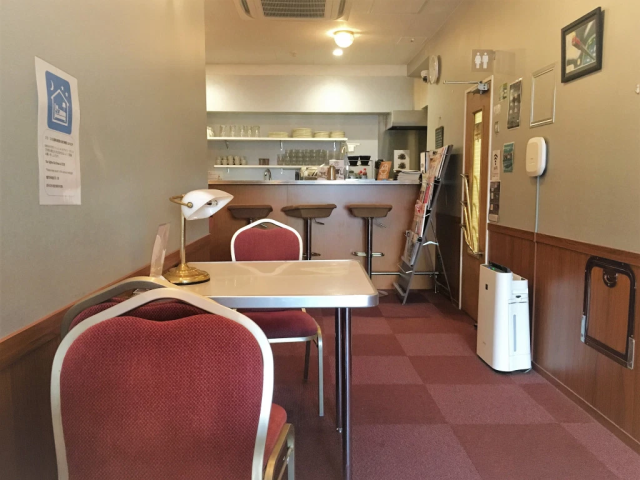 Prices vary by specific date and room type, but you can get a bunk in one of the dormitory rooms for as little as 2,100 yen, and Hokutosei occasionally offers discounts for its social media followers that knock its rates down even lower. 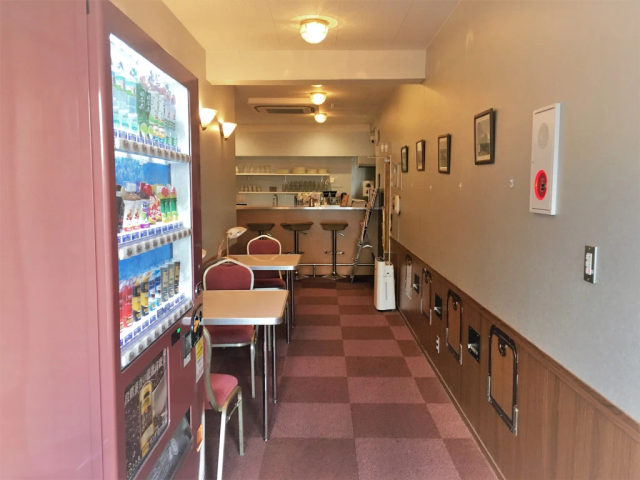 Even at full price, though, this is a great, and fun, bargain for accommodations in central Tokyo, and definitely easier than building a full-scale train replica in your own home.